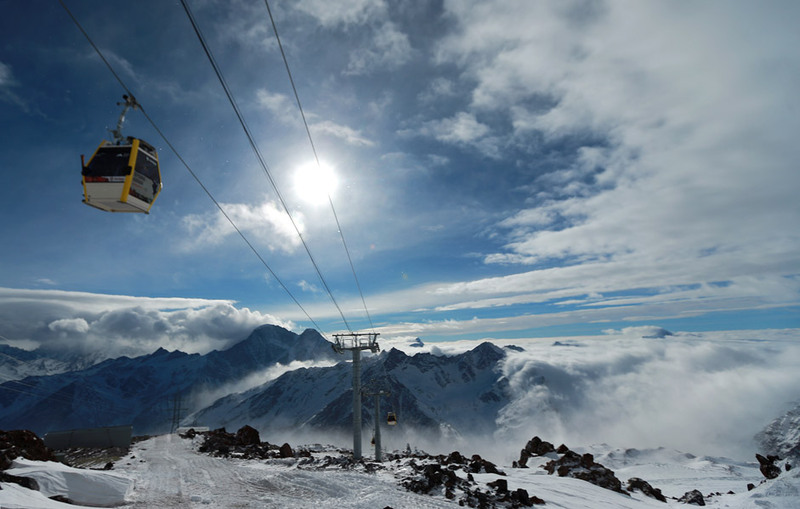 A new cable car on Mount Elbrus, in the Caucasus Mountains. Phase 3 of the new cable car, the highest in Europe, has been put into operation. The facility is part of the Elbrus all-season outdoor activities and recreation resort.